Here comes the festive season. Christmas 2015 & New Year 2016 are nearing. And Dream Dezigns has come to you with lots of special discount offers like Santa. All Website design related services come to you with a special festive discount offers from us. Dream Dezigns is Web Designing Company based in India that specializes in professional Website design services, Mobile websites, Apps development, Internet marketing & SEO. 1. 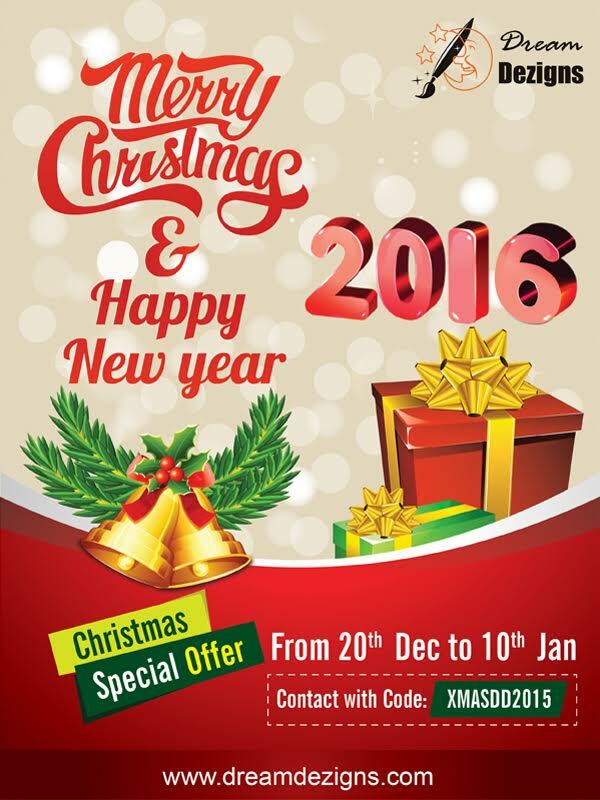 Discounts valid from 20th Dec 2015 till 10th Jan 2016. 2. Use the discount code XMASDD2015 while contacting us. 3. Offer applies to all services from Dream Dezigns. Use any of these below ways and get in touch with us.